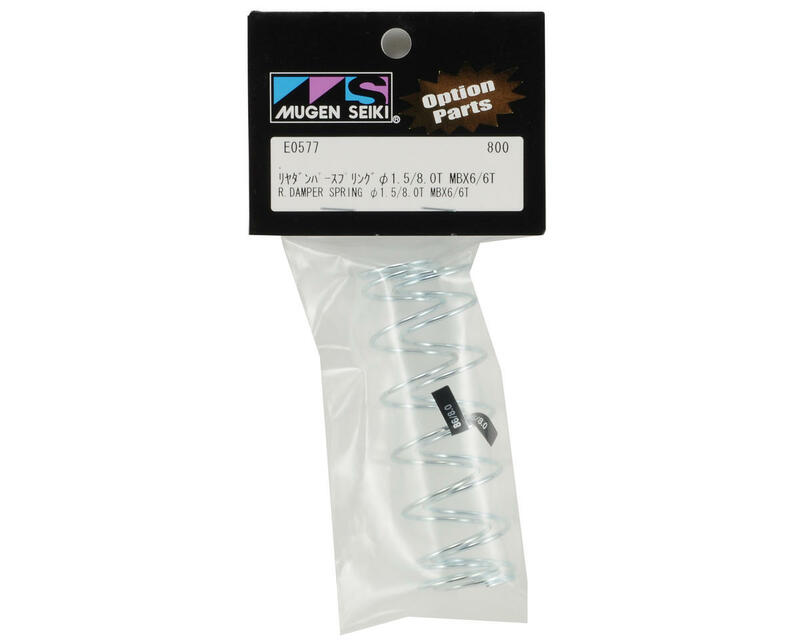 This is an optional Mugen Big Bore Rear Damper Spring Set, and is intended for use with the Mugen MBX6, MBX6T and MBX6-E. 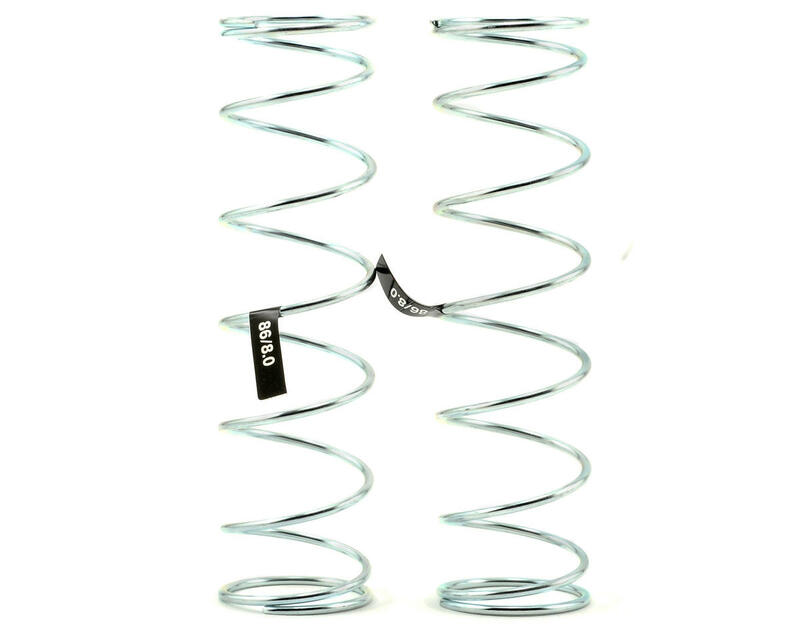 These springs are made with 1.5mm wire making them slightly lighter than the previous springs, and feature an improved coil design which will make both your buggy and truggy much more stable through bumps and jumps. These springs were used by the Mugen Factory Race Team at the 2010 IFMAR Off Road World Championships in Thailand.